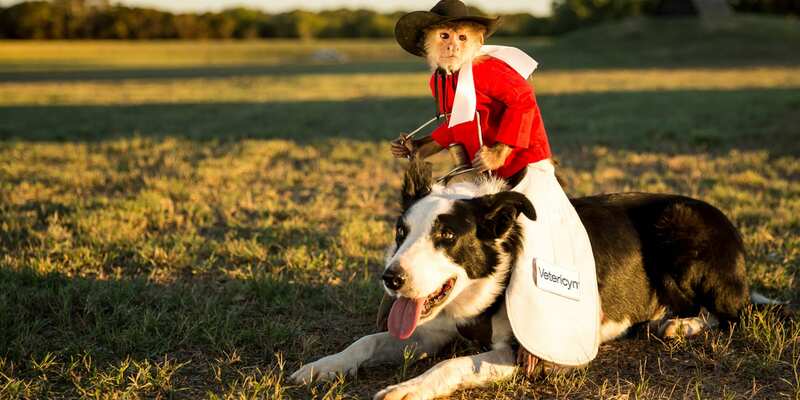 Whiplash The Cowboy Monkey is the world’s smallest cowboy, 3-Time Pro Rodeo Entertainer of the Year, and an international star who has been putting smiles on faces for years. Whiplash is a Capuchin Monkey who has been riding since he was two years old. He travels the country herding wild Barbados sheep at rodeos and other events. He likes watching TV westerns and playing catch. His favorite snacks are grapes, Oreos and a peanut butter and jelly sandwich before bed. 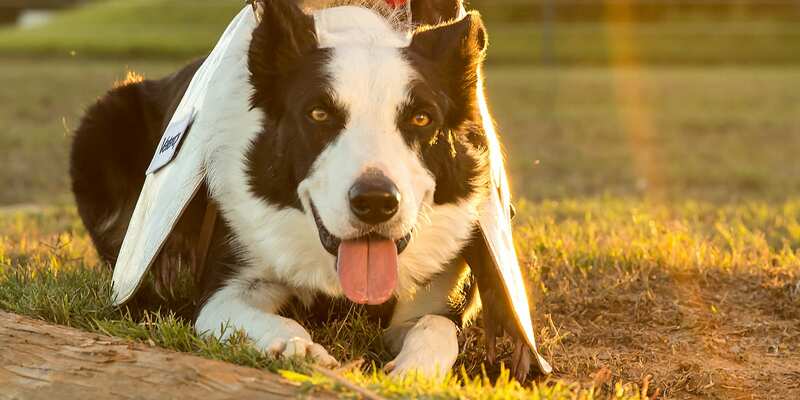 Boogie is 7 and Whiplash’s trusted Border Collie mount. He faces a lot of dirt and dust during his adventures with Whiplash on the trails or at rodeos. Boogie relies on Vetericyn’s Wound & Skin Liquid to help heal minor cuts and scrapes he may get. And after a hard day herding or out on the trail, Boogie likes to soothe his irritated eyes with Vetericyn Eye Wash.
Watch the adventures of Whiplash the Cowboy Monkey and his Border Collie Boogie!